Thank you for inviting me to provide input to the deliberations. I speak to you as a 9/11 widow, as the founder of the Alliance of Canadian Terror Victims, and as the co-founder of Canadian Coalition Against Terror. Since the 9/11 attack in New York, I have worked to raise awareness of the plight of Canadian families who lose loved ones in terrorist acts – in Canada and elsewhere in the world. Today, specifically, I want to address the matter of revoking Canadian citizenship from convicted terrorists – in the light of what I see as a set of profoundly Canadian values. Canada as a nation has a proud track record in the world as a defender of human rights and democracy. Canada values and protects a form of society that gives individuals the opportunity to live productive and fulfilling lives. Canada, in my view, is a shining example of everything that is admirable about the Western world. Canada accepts many immigrants from all over the world who come here to seek a better life. In return for opening our doors to them, Canada expects them to live in Canada in accordance with a minimum set of standards. 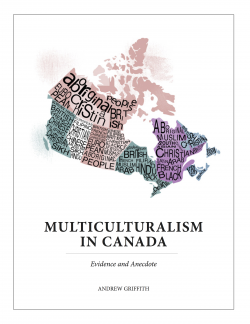 Canada provides, in its support of multiculturalism, all manner of freedom for immigrants to practice the life styles they were used to before they arrived. Most immigrants do adjust and become productive members of Canadian society, in actions if not in spirit accepting Canadian values. Terrorist acts are the exact antitheses of such values. Terrorists, in executing innocent people, denigrate and violate every tenet of the values that make up Canada. Therefore, if Canada allows a convicted terrorist to retain the Canadian citizenship, Canada is in effect saying “we accept the terrorist act as part of the fabric of life in Canada”. Inasmuch as citizenship in Canada is a privilege, it should be subject to revocation if the holder of such privilege demonstrates through a terrorist acts that there is no intention to adhere to the minimum standards Canada expects from its citizens. Canada needs to make a definitive statement that it will not tolerate terrorist activity on the part of anyone. Revocation of citizenship is a straightforward statement that “by your actions you have forfeited your Canadian citizenship”. In effect, Canada needs to say, loud and clear: If you violate Canadian values by carrying out terrorist acts … we take away the privilege of being Canadian. A zero tolerance policy in this area is the only way Canada can remain a beacon in the world, upholding and promoting the values we all hold dear. Allowing citizens convicted of terrorist acts to remain Canadian is, in my view, the worst sort of cowardice – and an affront to all Canadian citizens who abide by the law. Thank you, again, for inviting me to comment.